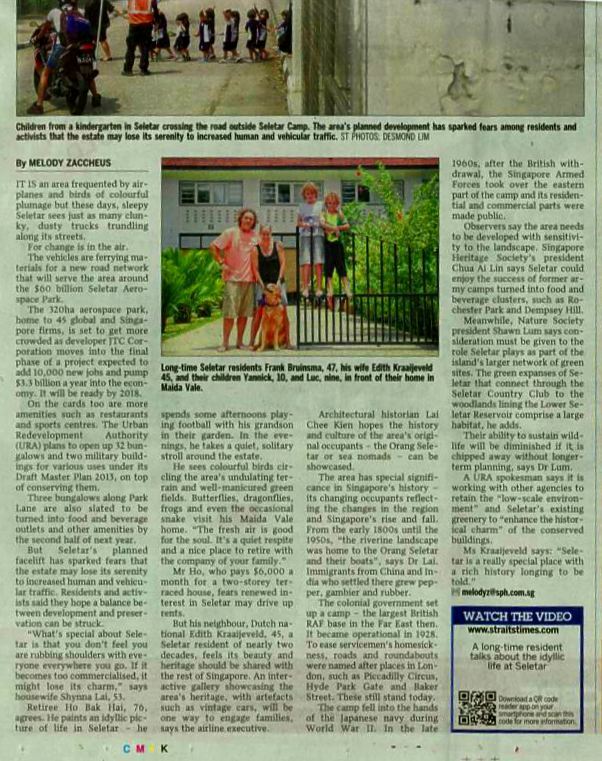 I thought that it would be good to share with you all that certain landmark buildings from the RAF Seletar days have been preserved for posterity. When fully developed in 2018, Seletar Aerospace Park is expected to contribute S$ 3.3 billion per annum to Singapore’s GDP and create 10,000 jobs. Currently the companies in the Park include Rolls-Royce, Bombardier, Bell Helicopter, Europter, Hawker Pacific and Fokker. I recalled with joy of looking the planes flying above my home – javelins, hunters, Beverly, Chinook and also the V bombers !! Vulcan, Victor and Valiant. 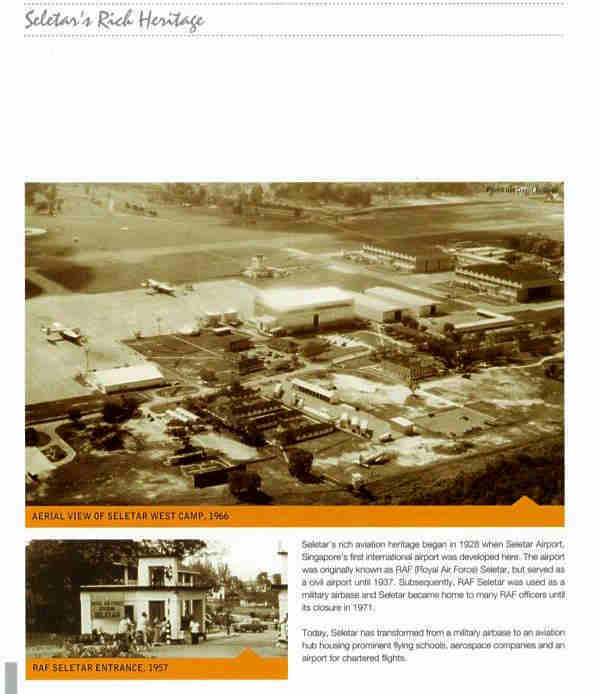 Besides Seletar as mentioned above, Tengah is today a key airbase of the RSAF ( republic of Singapore Air Force ) I think that it is the base of our latest fighter aircraft the F – 15. 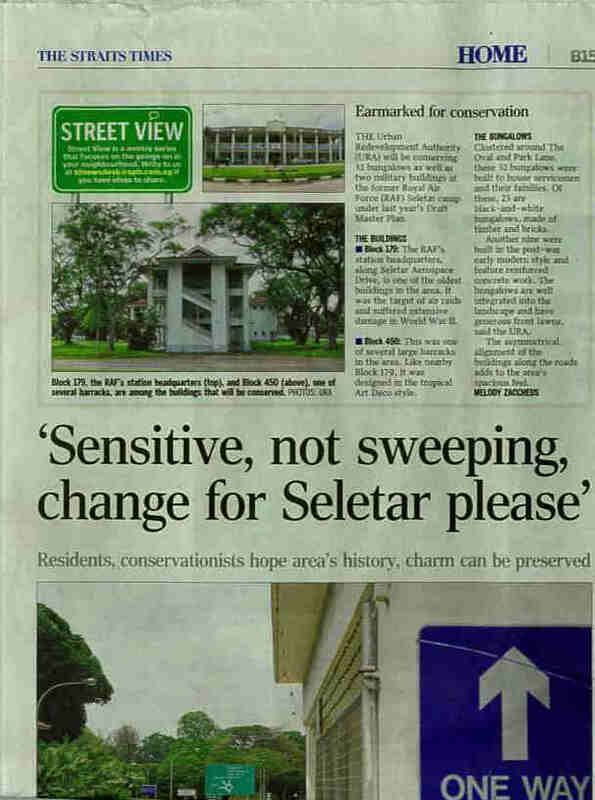 In this regard, I have enclosed some newspapers & other materials on Seletar for your members reading pleasure.